New York Jets wide receiver Lucky Whitehead broke his foot at practice today. He’ll be out for the foreseeable future and may end up needing surgery. It’s time for him to just go by Rodney now because there is nothing lucky about Lucky Whitehead. His horror show summer has taken yet another twist in the wrong direction. Whitehead has broken his foot in Jets training camp on Tuesday, according to his head coach Todd Bowles. Where do we even begin with Whitehead’s summer of strange? Probably from that point when some dude stole his dog when he was with the Dallas Cowboys. 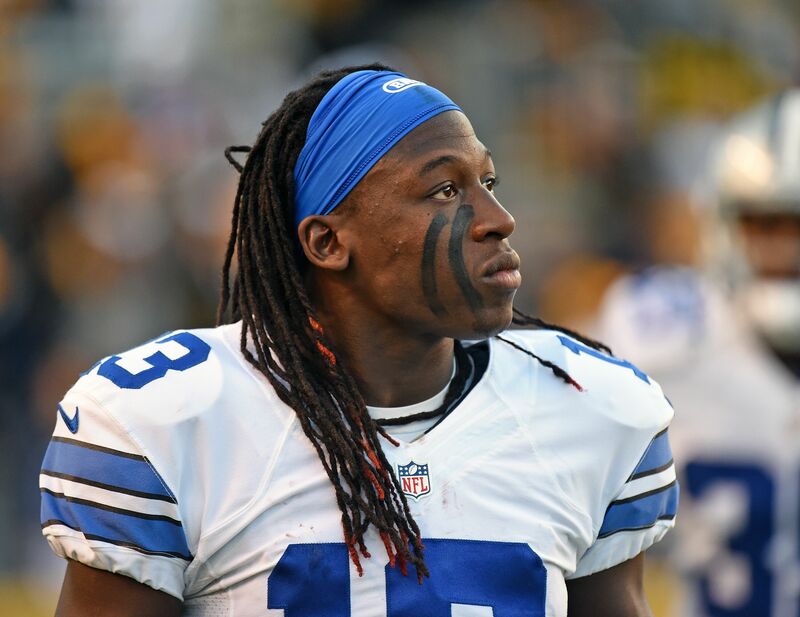 Whitehead did get his dog back, but that was a scary 24 hours for the former Cowboys wide receiver. Former you ask? Well, some other dude disguised himself as Whitehead and decided to shoplift. It wasn’t Whitehead, but the accusation of being a shoplifter was enough for the Cowboys to part ways with the fringe NFL wide receiver. Talent above everything else in Big D apparently. It was cool though, as Whitehead was able to land another gig to play wideout for the Jets. Sure, the Jets are the worst team in football by a wide margin, but it was an opportunity for Whitehead to play. Their best wideout Quincy Enunwa was placed on injured reserve with a neck injury last week. So to recap, Whitehead gets his dog stolen only to have it return. He is falsely accused for shoplifting, but is still released by the Cowboys. Whitehead finds a new gig with the horrible Jets. Not long after the Jets’ No. 1 wide receiver Enunwa goes down, Whitehead follows suit with a broken foot. Karma is not on Lucky’s side. Rodney might be the new way to go from here on out. One day very soon, fortune will change for The Rodfather and all will be right in the world for Whitehead. Or not, who knows how weird this summer will get for the guy? The Fall Equinox isn’t until September 23, more than a month away for more strange things to happen.